Huge congratulations to the Women's team for placing 3rd at the 2018 NAIGC National Championship!! We're so proud of everyone's hard work this season. We had a great first meet with everyone! 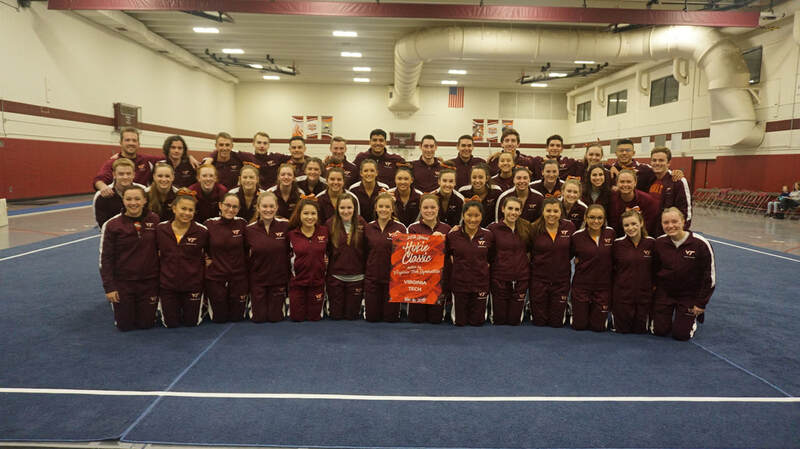 Women's and Men's team placed 2nd at the 24th Annual Hokie Classic!! We also had Ana Principi and Dean Conte place individually. Here is the event rotation for the 24th Annual Hokie Classic on Saturday, November 4th. Spring practice begins January 24, 2019!! The first week is FREE to all VT students. ​We're super excited for our Hokies to come back to Blacksburg!! If you're new and interested in joining, look out for more information on our social media. For now, enjoy this little snippet of last season. Sign up for new member updates and information!